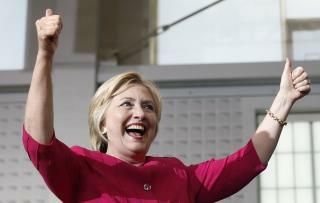 (Newser) – A federal judge on Friday ordered Hillary Clinton to answer questions in writing from a conservative legal advocacy group about her use of a private email server during her tenure as secretary of state, the AP reports. US District Court Judge Emmet Sullivan issued the order as part of a long-running public records lawsuit filed by Judicial Watch. The judge's decision is only a partial victory for the group, which had sought to question the Democratic presidential nominee in person and under oath. The judge said Judicial Watch must submit its questions to Clinton by Oct. 14 and gave Clinton 30 days to respond—a timetable that could push Clinton's answers past the November presidential election. ?? The lamestream media always gives demwits a pass. They never cover the lying, cheating, corrupt demwit party. Attorney General Holder sold guns to mexican drug cartels. BJ Bill lied on National TV about not getting a BJ from Monica. HildeBeast lied to everybody about her emails. Hell, she's been lying all he life. She's just gonna lie as usual. Its like shes channeling Nixon. Gd job, you are gonna make a great first female pres. Feel sorry for the second female president that actually wants to do something decent and not just swing her ego around. Sad.